John Wesley, the founder of Methodism, believed that the living core of the Christian faith was revealed in Scripture, illumined by tradition, vivified in personal experience, and confirmed by reason. United Methodists profess the historic Christian faith in God, incarnate in Jesus Christ for our salvation and ever at work in human history in the Holy Spirit. Living in a covenant of grace under the Lordship of Jesus Christ, we participate in the first fruits of God’s coming reign and pray in hope for its full realization on earth as in heaven. The mission of our church and all United Methodist Churches is to make disciples of Jesus Christ. Bardstown UMC offers two Sunday morning worship services: our contemporary service the 9:02 Celebration at 9:02AM and our traditional service at 11:00AM. 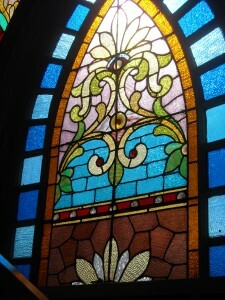 The 9:02 Celebration takes place in the Life Center and the Traditional Worship is in the sanctuary. A nursery is available at both services. We celebrate worship with a contemporary service in the Life Center at 9:02AM enlivened with a new language of music and visual arts. Our pastor leads us in Scripture and its relevance for our lives, preaching the same sermon heard at our traditional services but in a more relaxed and interactive setting. Our Praise & Worship Team is comprised of singers, instrumentalists, and Media Shout technicians, all dedicated to making worship vibrant and life-changing. Come celebrate with us! Our 11 AM traditional Sunday service includes congregational hymns accompanied by piano, organ and sanctuary choir, readings from the Old and New Testaments, liturgical responses, a sermon, a prayer time, and (on the first Sunday of each month) Holy Communion. Communion is also served at the Contemporary Service on the first Sunday of the month. 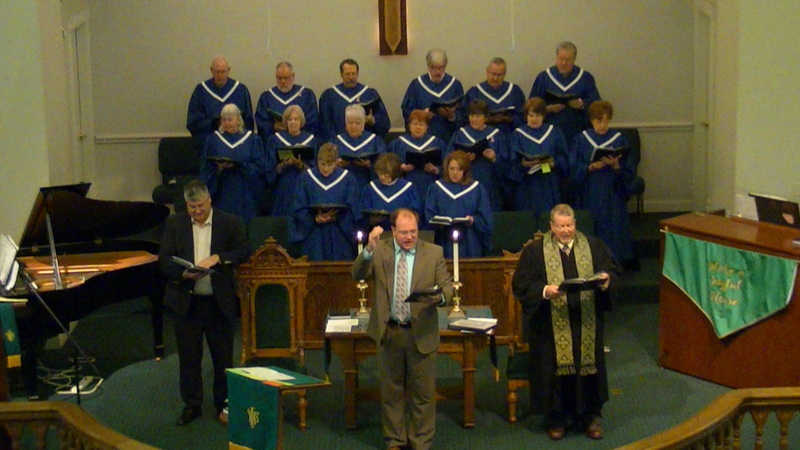 Our traditional service incorporates a woven tapestry of hymns, readings and worship all dedicated to glorifying God and sharing the “Good News!” Come join us in word and song. The Sanctuary Choir sings weekly for the 11:00 AM service, presenting a wide range of anthems from the classics to spirituals and contemporary pieces. The choir also presents Advent and Lenten cantatas along with a 4th of July special celebrating the independence of our country. The choir comprises approximately 15 members, and we welcome all who enjoy singing and would like to share in this vital ministry. This choir is led by Marc Monroe. Wednesday, 7:00-8:00 PM in the Choir room. Contact Director of Music Ministries Marc Monroe if you are interested in this group. The Praise and Worship group sings weekly at our 9:02 Celebration Service presenting a wide range of praise and worship songs along with some old hymns in a modern style. 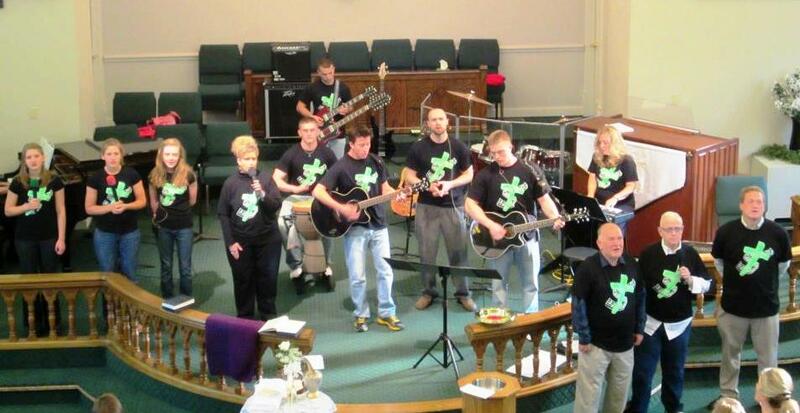 This group also performs at our 2nd Campus for community events such as Easter Sunrise Service and Youth events. The group is comprised of approximately 10 members and would welcome anyone who would like to share their instrumental or vocal talents. The P&W group is led by Frankie Nunn. Contact Praise & Worship Leader, Frankie Nunn, if you are interested in this group. 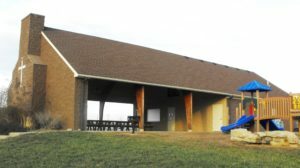 This campus is used for special worship events, youth gatherings, Vacation Bible School, Boy Scout meetings, Upward Soccer and many other activities. There is a picnic pavilion that has a kitchen, meeting room and bathrooms. There is a walking track and softball/baseball backstop. If you have any questions about this campus call Katie Cramp at 502-348-3209.